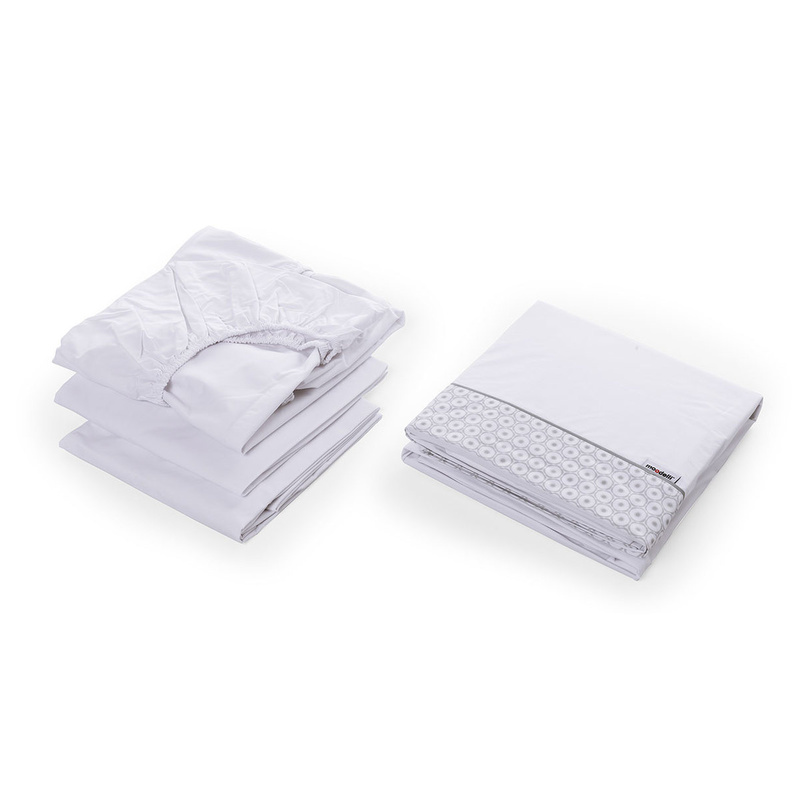 This set includes 3 fitted sheets and 1 flat sheet made from 100% cotton percale. They are specifically designed to adapt to the Babybox cot/bed in all its stages. 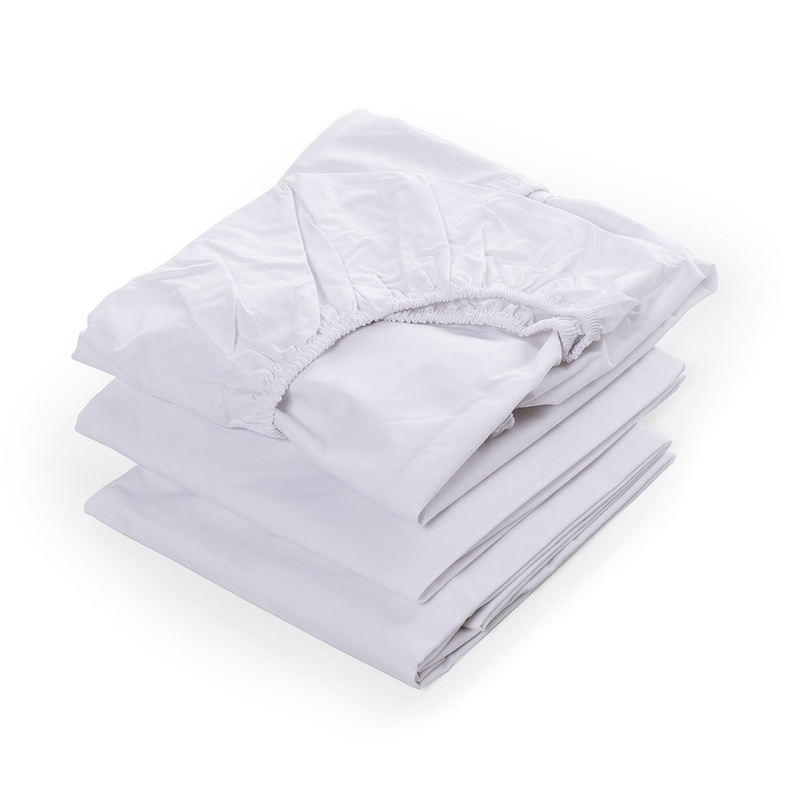 Sheets are anti-allergic and breathable, made from a durable and soft material. 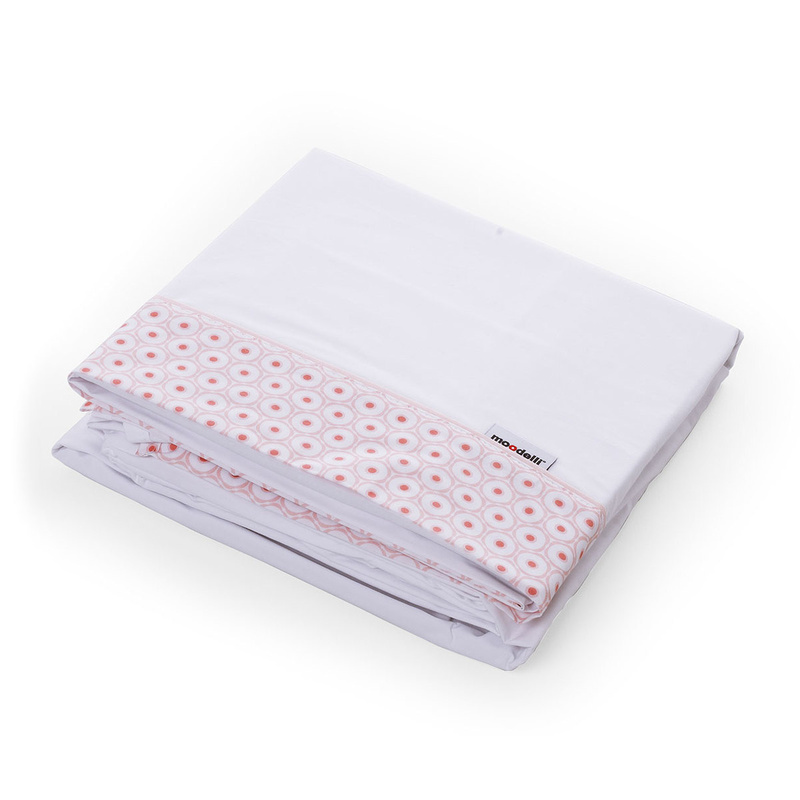 These sheets are available online in three cute colours - grey, aqua, coral. You can create a perfect linen set for the wellbeing and safety of your baby by completing these sheets with the matching bumper and duvet cover. 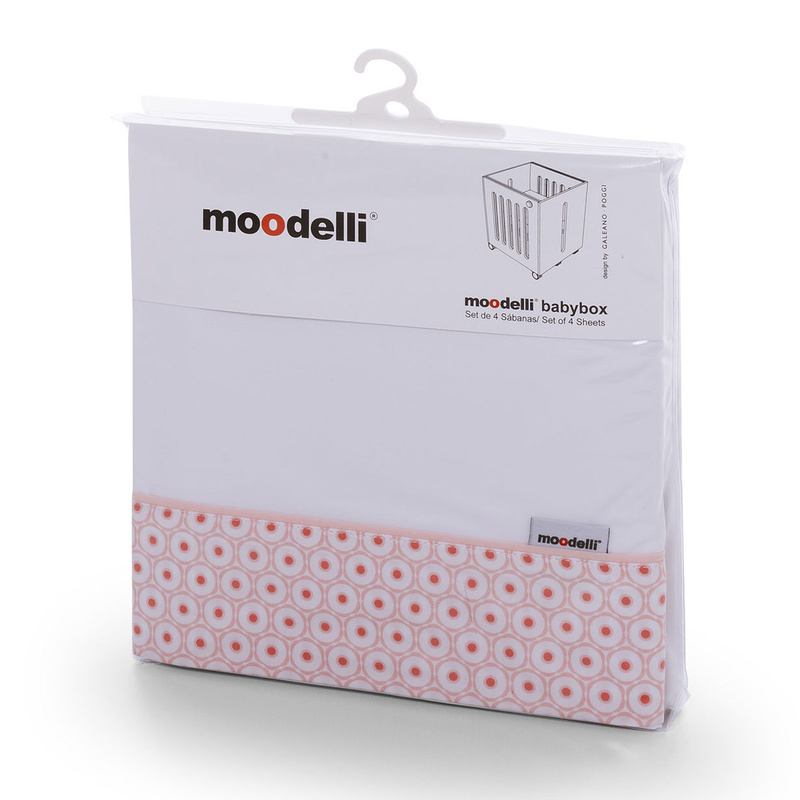 Moodelli is a Spanish company founded by three young entrepreneurs. It provides safe, functional, versatile and ergonomic solutions for children, so that you can enjoy your children's early years. It creates high-quality contemporary pieces of design putting safety, aesthetics and respect for the environment first.